Royal Dutch Shell is shaking off fears that billions of dollars worth of oil and gas investment could be left in the ground as global governments push for a cleaner energy system. In its first major sustainability report the Anglo-Dutch group said it is confident that the business will remain resilient. The oil major faces rising calls from activists and shareholders to prove that it can safeguard its balance sheet against the shift away from fossil fuels towards low-carbon energy technologies. 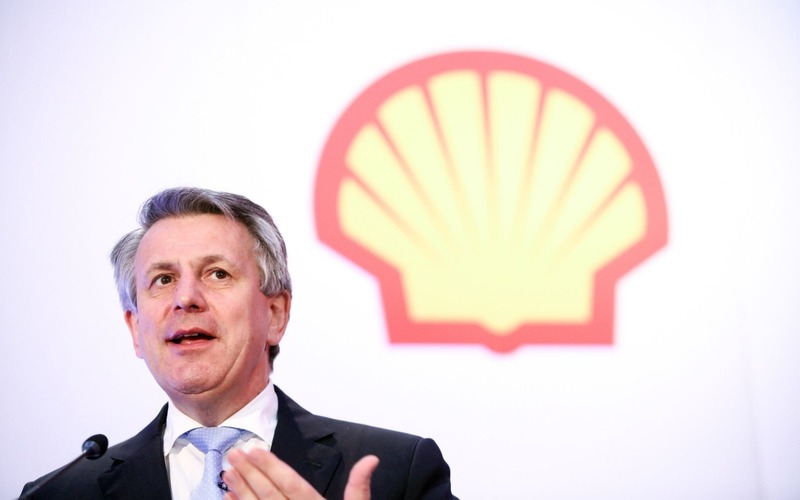 Shell boss Ben Van Beurden said the company plans “to keep pace, and catch up with, society’s progress” towards goals of the Paris climate agreement. “Understanding what climate change means for our company is one of the biggest strategic questions on my mind today. In answering that question, we are determined to work with society and our customers,” he said. He added that the FTSE 100 group will still provide strong returns for shareholders “well into the future”. Global leaders agreed in 2015 to take action to limit the earth’s warming to 2 degrees Celsius above pre-industrialised levels by cutting the greenhouse gas emissions which contribute to the warming. In Europe, the move to a cleaner energy system has already gained pace in power generation but will also take in transport fuels, industrial emissions and heating. But Shell estimates that the world can meet these climate targets and still drill for oil and gas in the years ahead, while using more solar power and hydrogen for electricity and transport. “For Shell, this means that we will still produce and sell the oil and gas that society needs, while preparing our portfolio to move more into lower-carbon energy, where this makes commercial sense,” the report said. The group’s most “ambitious and challenging” scenario outlines a “technologically, industrially and economically possible route to achieving the goals of the Paris Agreement” in which oil and gas demand continues to grow. Global oil demand would grow at a compound average rate of 0.9pc between 2020 to 2025 before appetite contracts at the same rate each year from 2025 to 2030. Meanwhile demand for solar power, a key focus for Shell, will surge. The peak growth in solar demand is likely before 2025 at an average annual growth rate of 20.3pc and 19.3pc in the second half of the decade. “In all three scenarios, investment in new oil and gas production will be essential to meet ongoing demand,” the report said. “That’s because demand for oil and gas shrinks more slowly than the natural decline in production from existing oil and gas fields under any credible scenario,” it added. Shell has started positioning itself for the future by committing to spend $2bn (?1.4bn) a year on new technologies such as electric vehicle charging, biofuels and gas.